Pinebrook Shopping Center in the upscale Country Club neighborhood of Mobile, Alabama sits on a major thoroughfare between the airport and the downtown. Built over time, the 180,000 sf retail development was a collection of disparate parts. 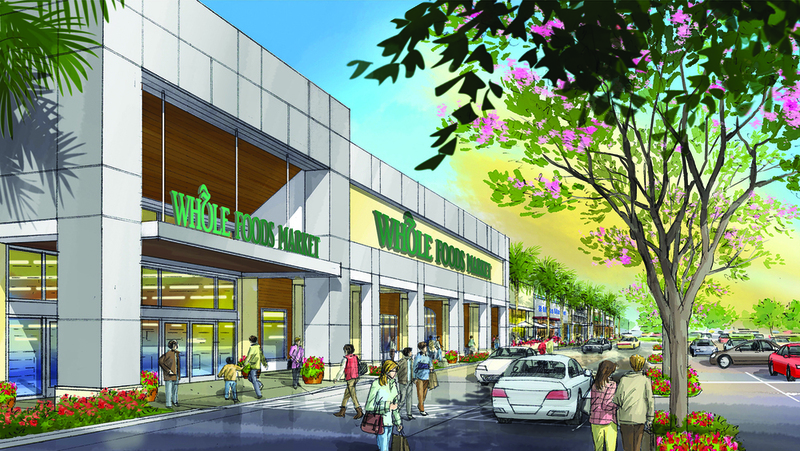 ci design prepared the overall strategy to renovate the center and incorporate anchors including new locations for existing tenants Books-A-Million and Stein Mart and the first Whole Foods in the region. A new traffic signal, upgraded parking and numerous new tenants combined to revitalize this premium property.